The Professionally Applied 962 Roof Membrane System Is Designed To Restore Your Roof And Improve The Appearance Of Your Home. 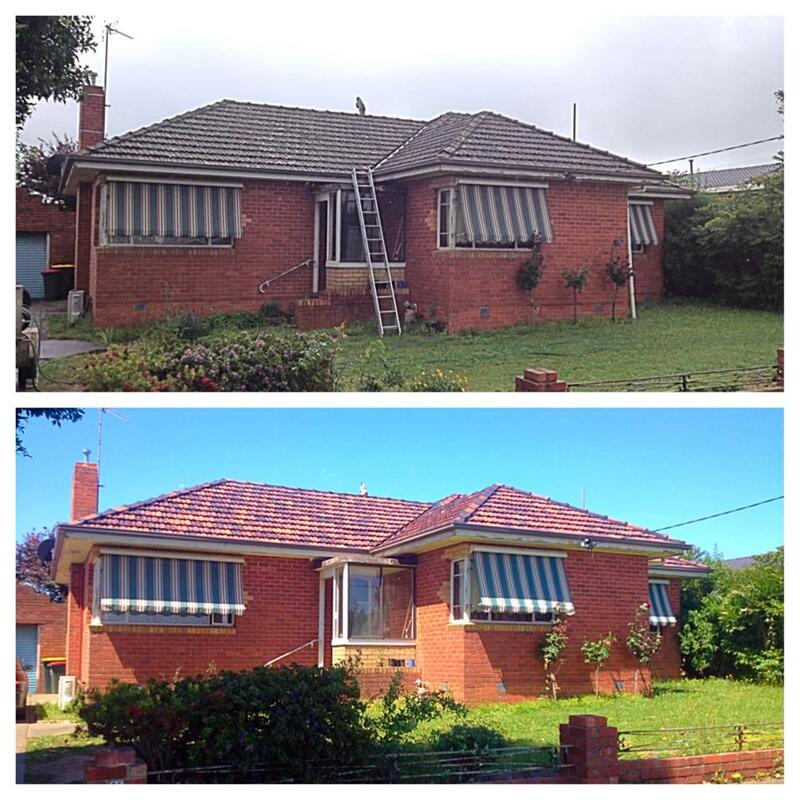 Dulux AcraTex Has You Covered For Professional Roof Restoration. 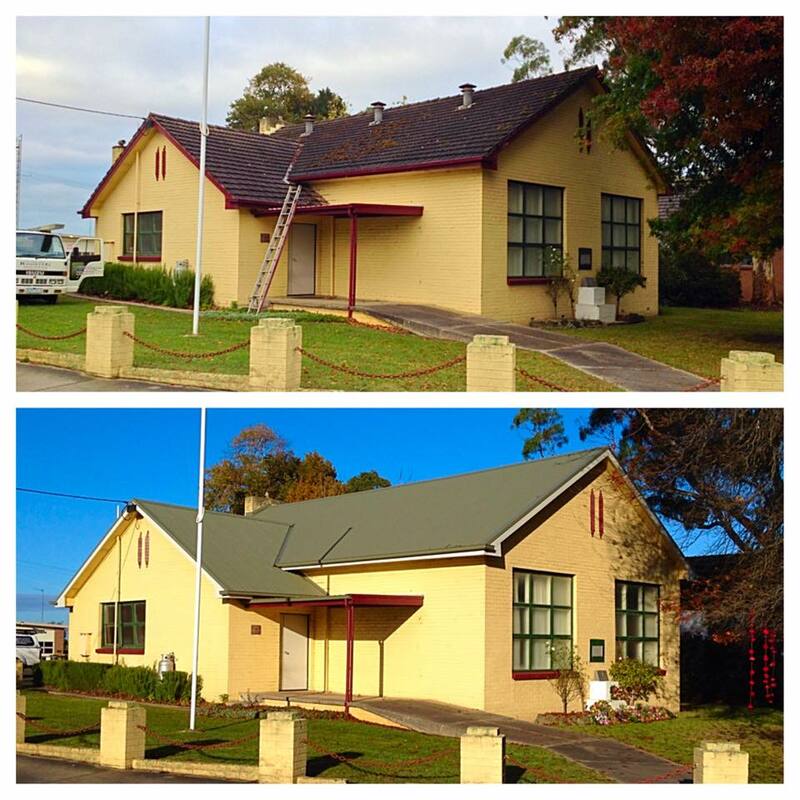 As The Largest And Most Trusted Coatings Company In Australia, We Don’t Just Stop At Walls – Dulux AcraTex 962 Roof Membrain Is A Full Professional Roof Restoration System With..
InfraCOOl Technology Optional Across Most Colours In The Range. InfraCOOL Works By Targeting The Suns Infrared Rays Which Account For Approx. 50% Of The Suns Total Light Enegy Heating The Roof. By Reflecting More Light, InfraCOOL Helps Keep Surfaces Cooler And Reduce Heat Build Up. 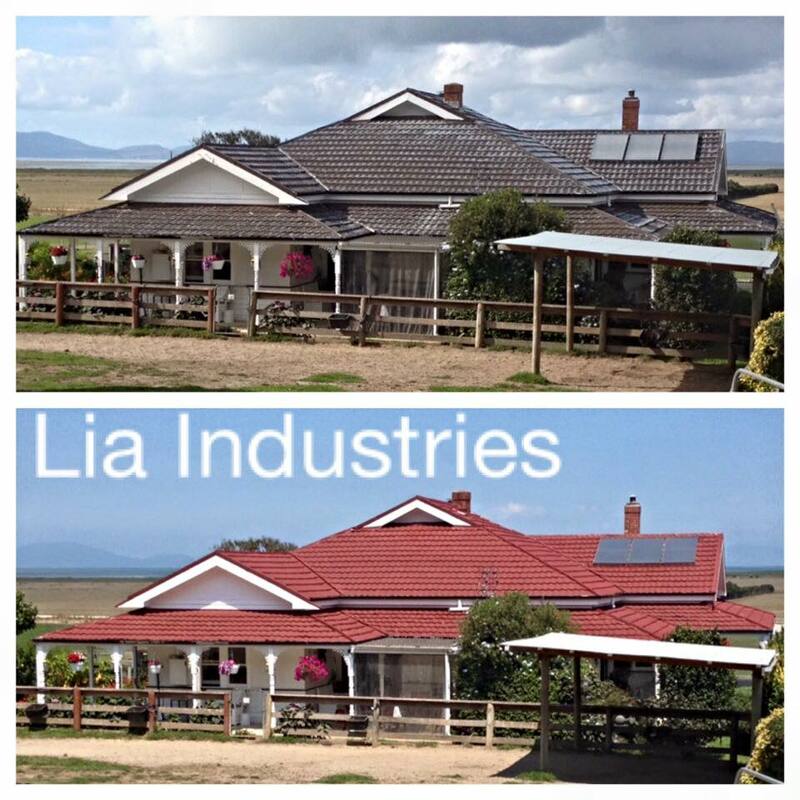 Lia industries can wash and treat most types of terracotta tiles and bring them back to there original glory without using harsh chemicals or acids just high pressure cleaning and an anti-fungal treatment which is applied after washing. In the case of water catchment the downpipes are left disconnected until roughly 20mm of rain has passed over the roof and it is then safe to collect water again. This treatment is safe and does not react with metals and wont cause gutter and flashing failure. Re-Bedding of ridged is done using sand and cement mixed 3:1 ratio. This is done when existing mortar is falling out and crumbling and no longer supporting the ridge it is supporting. Re-Pointing of ridge caps is done using an acrylic resin compound which has flexible characteristics which is towelled on at a 3 -5mm thickness. Unlike traditional cement flexible pointing moves with the natural movement of your roof and the colour remains stable over time. Damaged Tiles And Faulty Valley Irons Are Replaced Where Required. The Roof Is High Pressure Washed With Water Which Is Directed Away In An Environmentally Friendly Manner Using Lay-Flat Hosing As Required. Ridge Capping Is Re-Bedded Where Required And Then Re-Pointed With A Flexible Acrylic Pointing Mix. Fungal And Algal Spoilage Must Be Treated Before Re-Coating. AcraTex PrepTreat Is Applied After Cleaning To Sterilise The Surface. The Entire Roof Area Is Sealed To Ensure Strong Adhesion With The 962 Roof Membrane. A Range Of Speciality Primers Are Designed To Work In System To Suit Specific Conditions. Two Coat Application encapsulating The Surface. 962 Roof Membrane Provides Ultimate Protection, Durability and weather proofing. 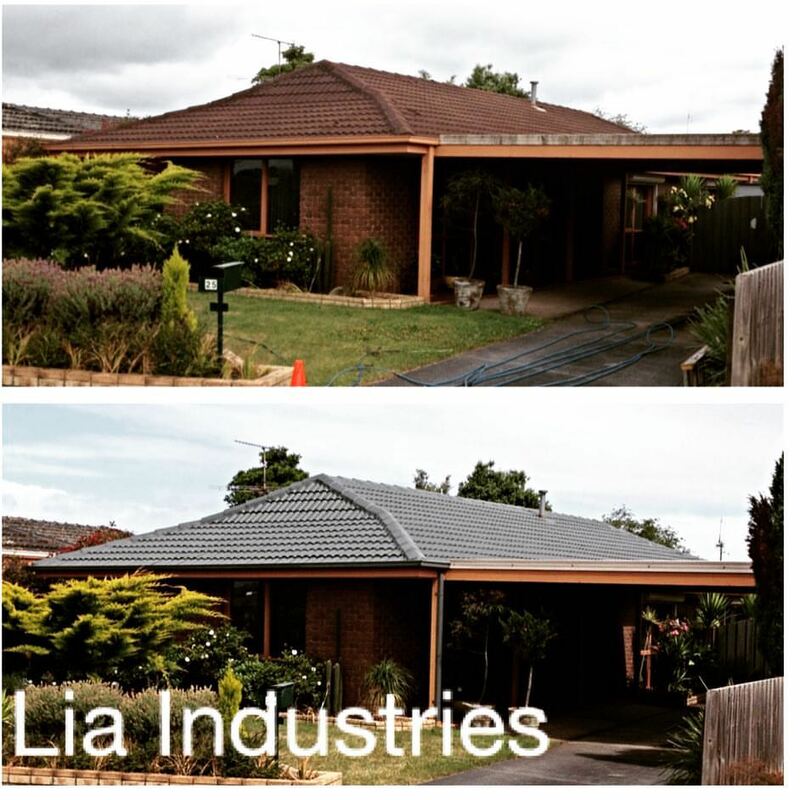 Lia Industries can remove you’re tiled or iron roof and install a brand new Colour-Bond roof, with up to 20 colours to choose from it can be a great way to replace a tired old roof whatever its current material is. To start the original roof is removed tiles are disposed of with skip bins and removed from site and recycled if possible through concrete recyclers, iron is removed and stacked on ground and metal recyclers remove from site, where possible we try to find a way to recycle waste and it makes the job cheaper sometimes. Once the roof is removed we install new battens if tiles were previously present and repair as required and re-nail existing batters for old iron roofs, we can also install insulation to your ceiling at this time if required, once this is done we install sarking paper which is used to improve thermal ratings of your roof it also reduces condensation on the underside of the iron sheets followed by the roof iron itself we only use BlueScope steel and a certificate of compliance is issued with every roof. 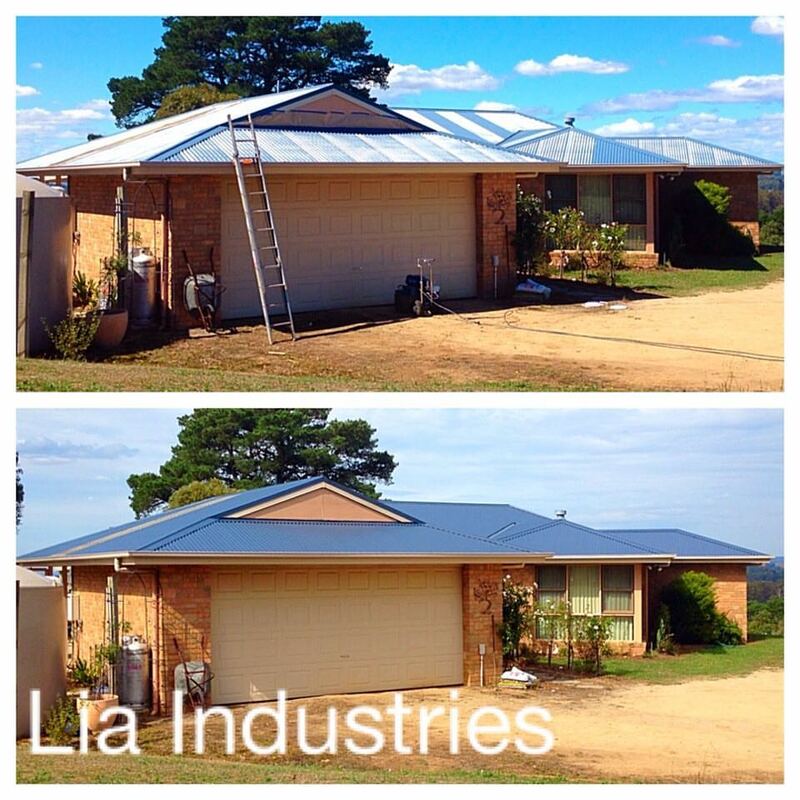 At Lia Industries we can easily replace your old and tired gutters and downpipes with new colour bond components. If you’re after repairs including fascia we can do that too! 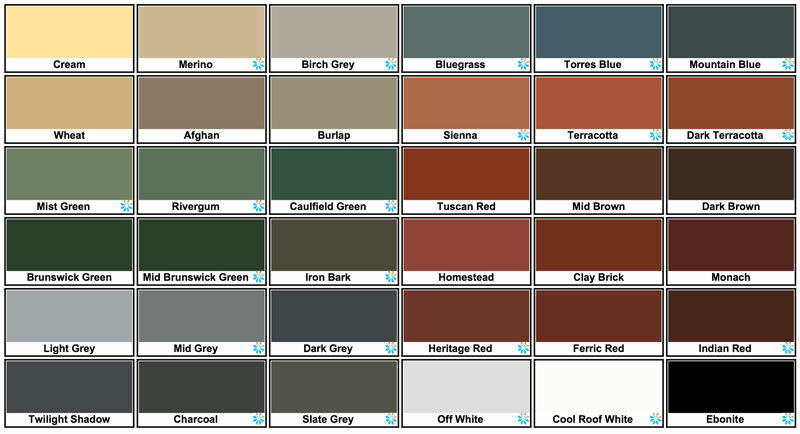 Also on offer is Colour-Bond fascia cover which is available so you no longer need to paint or if you’re fascia is too far gone new colour-Bond fascia can be installed also. 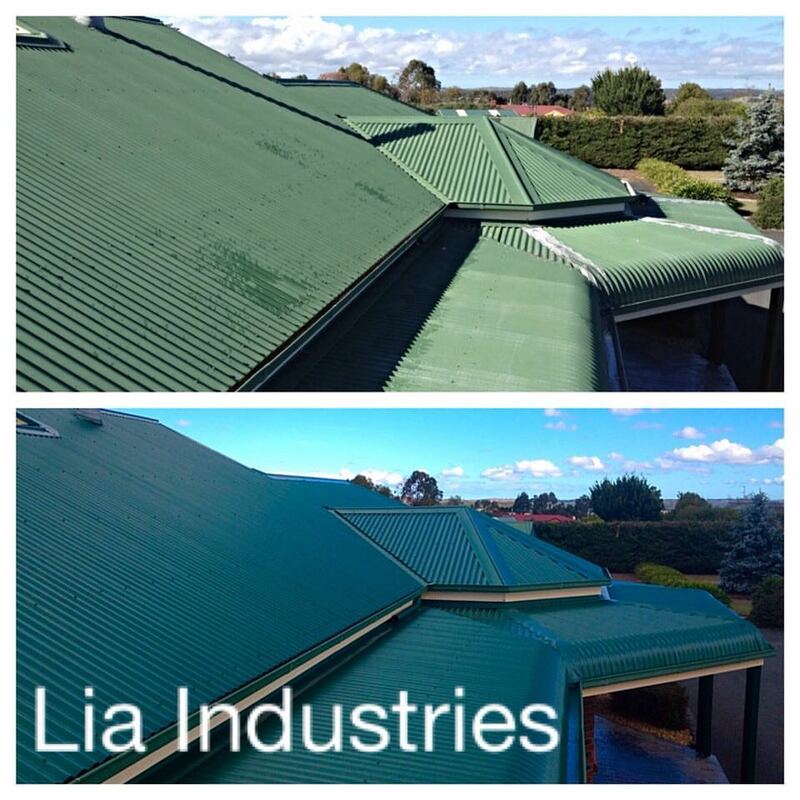 Lia Industries specialise in all types of gutter from quad to square line even Nu line gutter, we can even change nu line gutter to fascia and standard gutter if required. 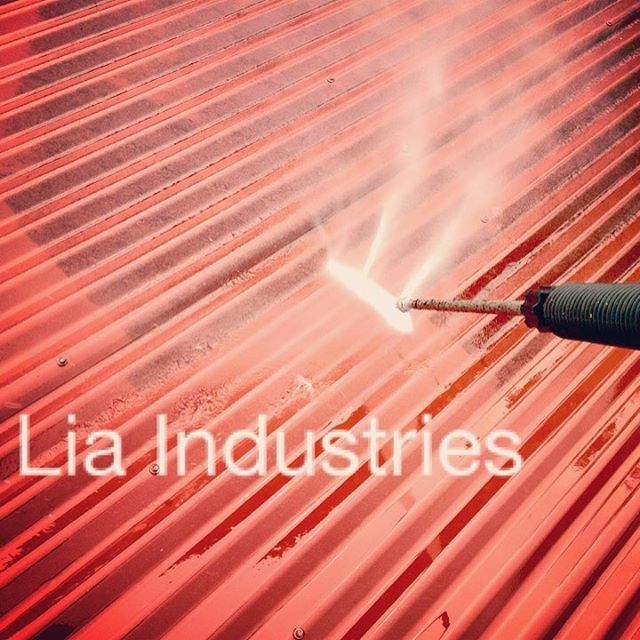 At Lia Industries you can be sure that all work is done by a Licensed roof plumber and you receive a certificate of compliance with every job we also have qualified builder to fix any structural problems as well and yes we only use BlueScope Steel products to ensure a great job done well every time. Valley irons and chimney flashings can be replaced using Colour-Bond steel, valley mortar is replaced with a more stable alternative to mortar called valley seal which is a hard foam soaked with tar that adheres the tile to valley and prevents tile movement and extends the life of valley .A certificate of compliance can be given on completion of any flashing repair. Please Note, The Colours With The InfraCOOL Logo Are The Only Colours Available With InfraCOOL Technology.